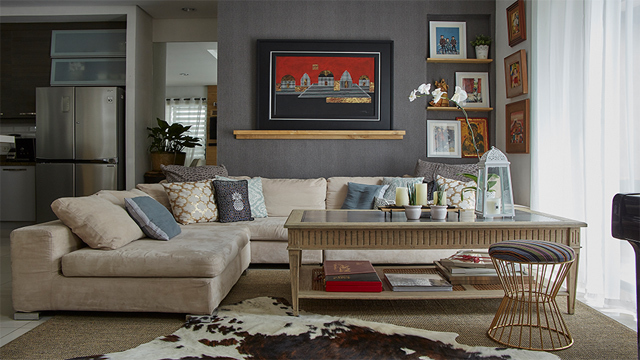 One of the most fun parts of the home to decorate is the living room, but it can also be challenging. This room receives plenty of traffic and is the site of different kinds of activities, so it is only fitting that you take the time to turn it into a truly lovely space to be in. Here are 10 things you should take into consideration to help you achieve that gorgeous look. The living room is normally used for receiving guests, but it wouldn’t be ideal to fill that area with only a massive sofa, especially if you don’t have a very big space. Don’t let yourself be limited to more traditional seating options; go for more creative pieces like stools, ottomans, and poufs, which you can also use to hold a tray or for extra storage. 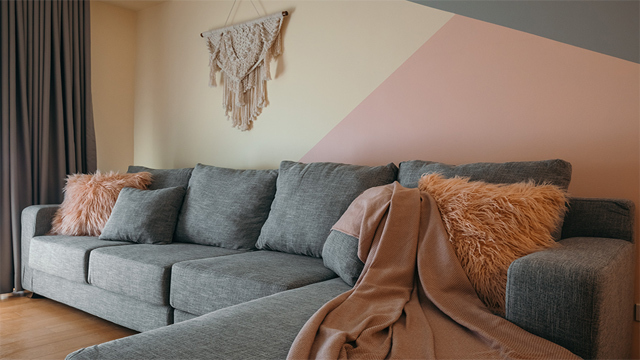 Whether you’re an art love, a bookworm, a pet parent, or a collector, your favorite items can make for great decorative pieces for your living room, as they are a fun way to inject your personality into the space. 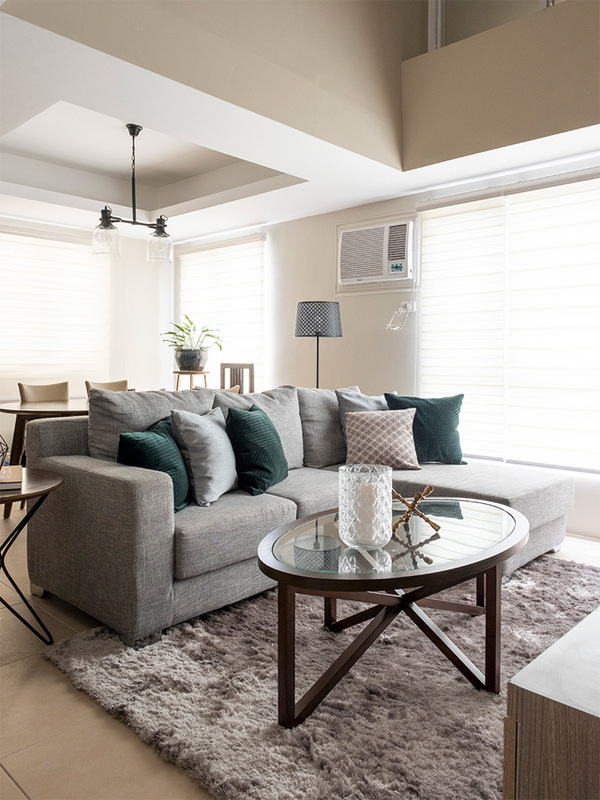 If you’re lucky enough to have plenty of large windows in your living room, make the most of this by letting your space be suffused by natural light. Another way to let nature into your home is by getting some a plant (or a few) to breathe some life into your space. 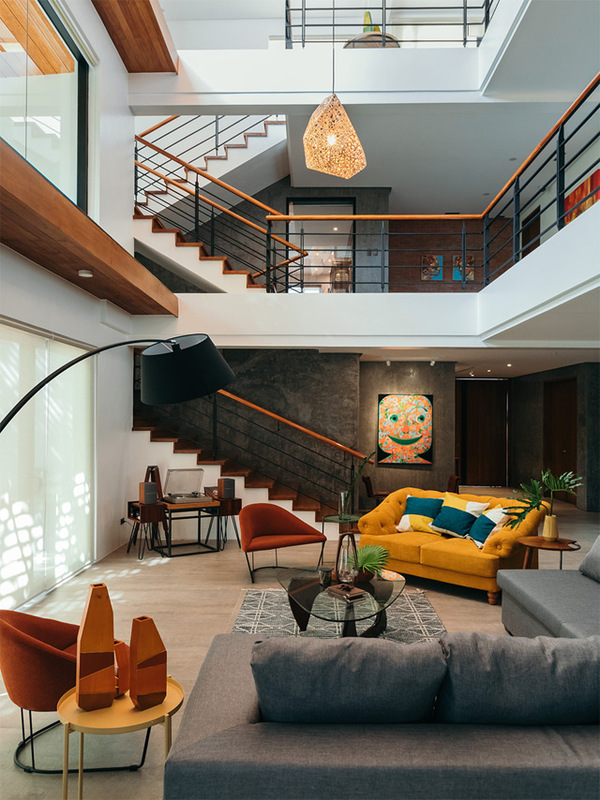 “Their presence brightens and softens up the space dahil organic ang shapes ng mga halaman,” architect and designer Allen Oblena says. 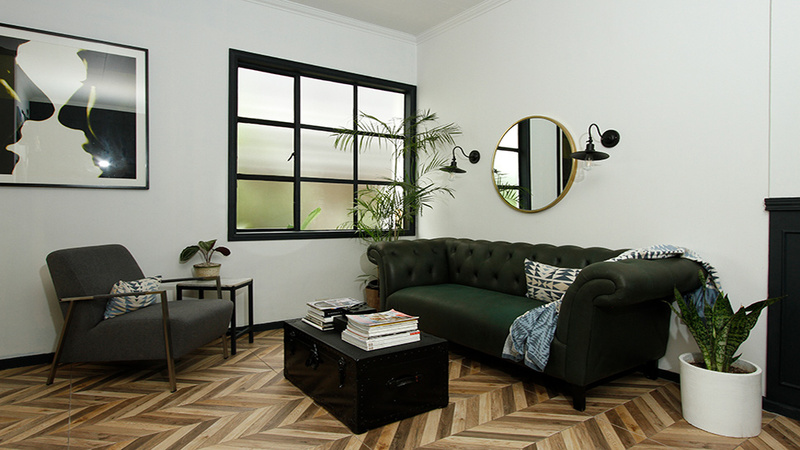 The right rug can make or break a room. This piece can serve as an anchor for your space, the foundation that you can hold onto when you begin to hunt for pieces to put in the room. However, you have to make sure to get the right size of rug, so that it’s just right for the room. The key to getting this step right is by measuring the room. Another accessory that will truly do wonders for a living room is window treatments. 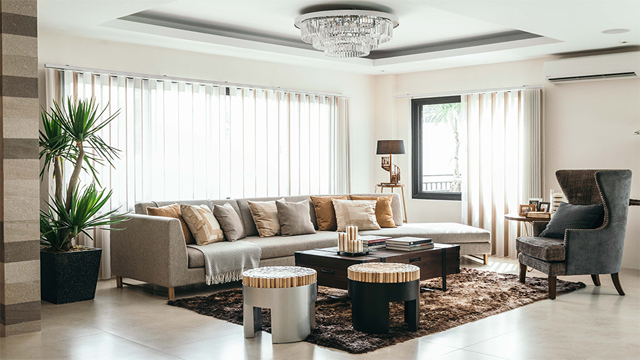 Whether you prefer curtains, drapes, blinds, or something else, make sure to pick the type that will help achieve the overall look you’re going for. When it comes to decorating a space, it’s important to take into consideration what kinds of activities you intend to do there. For example, if you’re the type who enjoys hosting get-togethers in your home, invest in pieces that can serve as both seating and storage. If you regularly play with your pets indoors, pick pieces made of materials that won’t easily attract animal hair.